Mary Higgins Clark is the queen of suspense.Biblical scholar Jonathan Lyons believes he has found the rarest of parchments, a letter that may have been written by Jesus Christ. Stolen from the Vatican Library in the 1500s, the letter was assumed to be lost forever. Within days Jonathan is found shot to death in his study. At the same time, his wife, Kathleen who is suffering from Alzheimer's, is found hiding in the study closet, incoherent and clutching the murder weapon. Even in her dementia, Kathleen has known that her husband was carrying on a long-term affair. Did Kathleen kill her husband in a jealous rage, as the police contend? Or is his death tied to the larger question: Who has possession of the priceless parchment that has now gone missing? It is up their daughter, twenty-eight-year-old Mariah, to clear her mother of murder charges and unravel the real mystery behind her father's death. 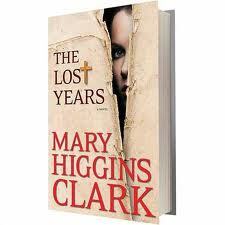 Mary Higgins Clark's The Lost Years is at once a breathless murder mystery and a hunt for what may be the most precious religious and archaeological treasure of all time.